Our Volunteer Program fulfills three of our Core Values: Firstly, it enables us to continue fulfilling our commitment to involve local Communities in the protection of their own coastal resources; Secondly, it provides an opportunity to advance restoration efforts in financially restricted areas; Thirdly, it creates an opportunity to provide Environmental Education. 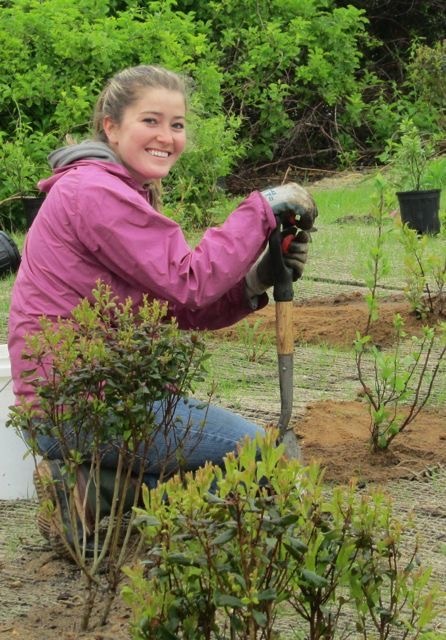 Safe Harbor Environmental offers year round opportunities for volunteering on coastal restoration projects. The work is weather sensitive and volunteers are expected to be properly dressed for the coastal environment. There are no age, experience or educational restrictions. Volunteers should be available for 2-1/2 hour work periods. Our Volunteer Coordinator will provide project background and our restoration strategy, as well as offering helpful instructions for working side by side with Safe Harbor's Coastal Restoration Team. Safe Harbor is a small environmental consulting group on Cape Cod. Safe Harbor specializes in the development of innovative, sustainable strategies for coastal habitat restoration, utilizing the natural energy already present in the resource system. The Safe Harbor Volunteer Program is open to individuals of all age groups, backgrounds and educational experience. Volunteers should have: availability for a 2-1/2 hour work period; good communication skills; appropriate clothing for Fieldwork; the desire to gain more education in resource area ecology; a notebook to track project directions. Projects are located around the Cape Cod coastline. We try to schedule volunteer work a week or more ahead of time but do monitor changing weather conditions. Volunteers participate in planting of American beach grass, completing one of our Barrier Dune restoration projects. Volunteers were from Friends of the Cape Cod National Seashore and Truro Non Resident Taxpayer groups. Giving these local residents an opportunity to experience stewardship of their natural resources. Volunteers should be prepared to work in coastal conditions. Safe Harbor Student Mentor Fiona, works in 25 knots onshore winds to complete seasonal removal of our Biomimicry sand collection system before shorebird nesting season, with student volunteers from a Falmouth Church Group. These volunteers are reducing restoration project costs on a community beach by removing biomimicry at the end of a winter storm season. Every volunteer project incorporates environmental education. Honors Biology Students from Harwich High School getting field orientation before beginning work on an ocean dune restoration project…Yes, it was winter. The person next to me was Audra, our Volunteer Coordinator at the time. Student volunteers from Monomoy Regional High School, helping us plant native Beach grass on ocean side dune restoration site. Beach grass is planted during winter months while it is dormant. This allows gradual growth as photo period increases. Volunteers are taught to plant three grass stems (culms) per hole, approximately ten inches apart. Their volunteer work reduces Community costs for managing Natural Resources. Truro community volunteers cleaning up storm damaged materials from a section of salt marsh. Tidal eddies were scouring away native marsh vegetation for twenty years before volunteers removed debris and improved the habitat. The removed wood was recycled locally as firewood. This taught volunteers the value of community partnerships with natural resources by working with local conservation commission and nearby property owners.